The news that heralded terror "mastermind" Abu Zubaydah was not an al Qaeda leader after all is as unsurprising as it is disturbing. Over and over again, and especially within the first few years after the terror attacks on America, the Bush Administration oversold the importance and value of its terror suspects. It was a colossal waste of credibility, time, and money. Worse, thanks to Peter Finn and Joby Warrick of the Washington Post, we now have more solid confirmation that intelligence officials were hurt as much as they were helped by "enhanced interrogation techniques" such as water-boarding. Not only were those measures probably illegal, not only did they harm our global reputation, we now know that they also caused our anti-terror forces to waste precious time and money following false leads around the world. The Post reports that not a single indictment resulted from Zubaydah's post-torture "confessions." We have seen this play before. 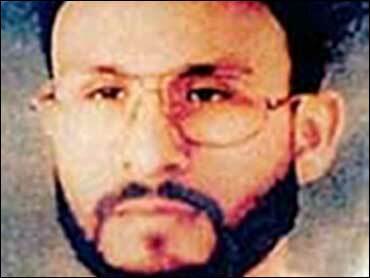 When he was first charged, Zacarias Moussaoui was labeled by the government as the "20th hijacker" of Sept 11. He was called the Face of Terror. Turns out he was neither. The main reason why Moussaoui is in federal prison today is that he faced a Virginia jury and declared his defiance for America. I'm still convinced he's little more than a mentally-ill loser who was fired from al Qaeda by Khalid Sheik Mohammed because Moussaoui kept bugging his would-be boss with cell-phone calls. When he was first arrested, U.S.-born Jose Padilla was labeled a "dirty bomber" bent on irradiating Americans with a sinister device. Turns out he was little more than a street punk who had some nebulous contacts with a few low-level terrorist wannabes. Kept incommunicado and without charges for years as an "enemy combatant," Padilla was ultimately convicted of conspiracy by a Florida jury after embarrassingly short deliberations. Made mentally unstable by his long confinement, I would be shocked if we ever learn that Padilla gave intelligence officials any useful information. Meanwhile, when he was first apprehended, Bush officials declared that Yaser Esam Hamdi was too dangerous to even be allowed to speak to a lawyer. Like Padilla, he too was kept on ice for years in a military brig as an "enemy combatant." And then, after a few court setbacks, including a Supreme Court decision that declared his confinement dubious, Hamdi was suddenly set free and allowed to return to his native Yemen. Never mind, the government said to the man they had imprisoned for all those years. For years, the Bush Administration tried to build up Zubaydah, too. He was placed by government tribunes, on- and off-the-record, into the pantheon of terror leaders responsible for the destruction of the Twin Towers on Sept. 11, on par with people like Mohammed and Ramzi Binalshibh. But Finn and Warrick tell us this simply wasn't true. "Abu Zubaida was not even an official member of al Qaeda…" the Post reports. "Rather, he was a 'fixer' for radical Muslim ideologues, and he ended up working directly with al-Qaeda only after Sept. 11 -- and that was because the United States stood ready to invade Afghanistan." It was natural, even predictable, for the government to make mistakes when it snagged so many terror suspects in the days and weeks after Sept. 11, 2001. A doctrine of "better safe than sorry" made some sense back then. But it never made sense for Bush officials to try to pretend that men like Zubaydah were more dangerous than they were privately known to be. And it never made much sense to water-board, either, because intelligence officials knew long before the terror attacks upon America that torture typically does not generate accurate intelligence information. The Obama Administration already has taken steps to ensure there will be no more counterproductive torture of terror suspects. The day of the tough-talking, reckless approach to these men appears to be over. Now the feds must move to regain their credibility when it comes to the legal war on terror by candidly telling us from here forward who the really bad guys are, who the really bad guys aren't, and how and why they know the difference. The idea of crying wolf isn't just a fairy tale; it's bad policy.